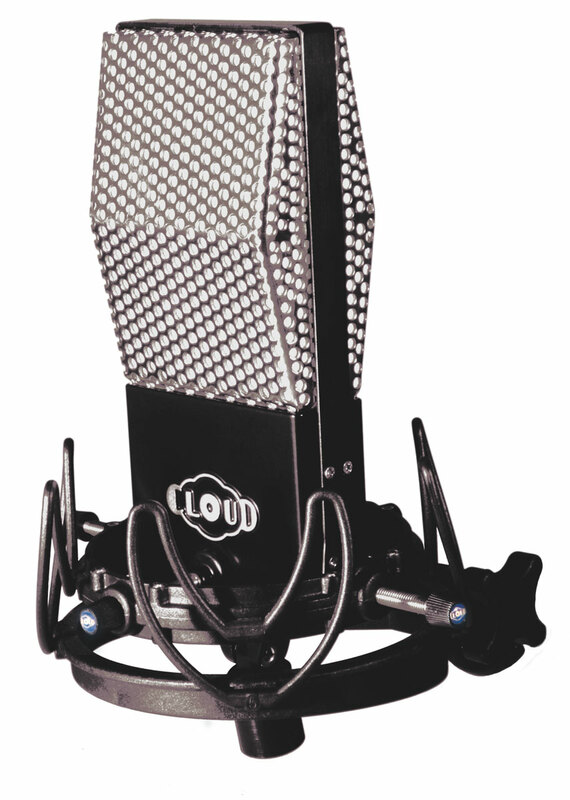 The Cloud Microphones 44-A is an active ribbon microphone inspired by the RCA 44, with an innovative “music/voice” switch to improve the mic’s versatility. It is the active version of the Cloud 44, which is a special edition of the JRS-34 manufactured exclusively for Zen Pro Audio. 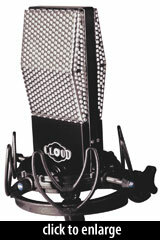 The 44-A is built into the body designed for its sibling mic, the JRS-34. The 44-A ribbon is the same as in the JRS-34, but is housed in a motor that differs from that of the JRS-34. While both use Stephen Sank’s innovative spring-loaded motor frame, the 44-A employs magnets of rectangular cross-section, whereas the JRS-34 uses magnets whose faces nearest the ribbon are rounded. The step-up transformer connected to the ribbon has a lower turns ratio than the transformer in the JRS-34 or passive Cloud 44, because the 44-A was built with the intention to include an active gain stage based on the Cloudlifter series of “microphone activators.” This circuitry provides approximately 20dB of gain, and also enables the “music/voice” switch, which enables a high-pass filter when in “voice” mode. The mic ships with the Cloud U1 shockmount, which is manufactured for Cloud exclusively by Rycote; the mount is similar to the Lyre-based USM, but with a larger diameter to accommodate the 45mm-wide Cloud mic body. Frequency Response - Bidirectional (“Music” mode)Click Graph to Compare! Frequency Response - Bidirectional (“Voice” mode)Click Graph to Compare!